Excessive gestational weight gain (GWG) may be a risk factor for gestational diabetes mellitus (GDM). We aimed to study the association between excessive GWG (defined according to Institute of Medicine recommendations) prior to GDM screening, and GDM. We systematically searched four electronic databases from 1990 until September 2014 for observational studies published in English or German that reported an association between excessive GWG and GDM as the outcome. Random effects meta-analyses were performed to provide a pooled estimate of the OR comparing the risk of GDM in women with and without excessive GWG. A total of eight studies involving 13,748 participants were included. The pooled analysis of unadjusted OR yielded a summary OR of 1.40 (95% CI 1.21, 1.61; p < 0.001) with low between-study heterogeneity (I 2 = 16.7%). A sensitivity analysis based on four studies reporting adjusted effect estimates revealed similar results (OR 1.42; 95% CI 1.20, 1.68; p < 0.001; I 2 = 0%). No evidence was found that the effect of GWG on GDM differs depending on maternal pre-pregnancy BMI category. A funnel plot did not indicate substantial publication bias. Avoiding excessive weight gain in pregnancy prior to the GDM screening test may be a potential strategy to reduce GDM risk. The online version of this article (doi: 10.1007/s00125-015-3686-5) contains peer-reviewed but unedited supplementary material, which is available to authorised users. Gestational diabetes mellitus (GDM), defined as glucose intolerance with onset or first recognition during pregnancy, is a serious public health problem . GDM is associated with short- and long-term complications for both the mother and the offspring, including newborn macrosomia, obesity in the offspring and an elevated risk to the mother of developing manifest type 2 diabetes [2, 3, 4]. Preventing GDM could thus be an important strategy to interrupt the transgenerational vicious cycle of obesity and diabetes . A large body of evidence suggests that excessive gestational weight gain (GWG) is associated with adverse pregnancy outcomes [6, 7] and increases the risk of both offspring obesity  and maternal postpartum weight retention . However, the role of GWG in the development of GDM is currently unclear. A positive association between GWG and GDM is biologically plausible because higher GWG may lead to greater maternal fat deposition, which may impair insulin sensitivity . Thus, GWG might represent a modifiable risk factor for GDM. When re-examining the guidelines for GWG in 2009, the Institute of Medicine (IOM) found insufficient evidence that GWG affects the risk of GDM . However, most of the reviewed studies focused on total weight gain over the entire pregnancy, thus also including weight gained after the diagnosis of GDM. Total GWG in mothers with GDM may, however, be influenced by therapeutic intervention in GDM, accounting for reverse causation if GWG is considered a potential cause of GDM [10, 11, 12, 13]. Some recent studies have suggested a potentially causal relationship between the extent of GWG in pregnancy prior to GDM screening and the risk of GDM [13, 14, 15, 16, 17]. However, the reported data are inconsistent. This may reflect both heterogeneous exposures and outcome measures. In particular, the use of GWG as a continuous variable may yield misleading results because some weight gain is undoubtedly needed in pregnancy. The use of study-specific percentiles for GWG limits between-study comparisons. Additionally, neither GWG as a continuous variable nor GWG ranges based on individual studies can be translated into practical recommendations. The use of gestational week specific GWG cut-off values based on the IOM recommendations has the major advantage of taking physiological weight gain into account, thus providing a uniform scale which can easily be implemented in practice. We therefore performed a systematic review of the literature and a meta-analysis to evaluate the relationship between excessive GWG prior to a GDM screening test (according to IOM criteria) and the risk of GDM. This report conforms to the Meta-analysis Of Observational Studies in Epidemiology (‘MOOSE’) guidelines for reporting a meta-analysis of observational studies . We searched the MEDLINE (www.ncbi.nlm.nih.gov/pubmed/), EMBASE (http://ovidsp.tx.ovid.com/), Web of Science (www.isiknowledge.com) and Cochrane Library (http://onlinelibrary.wiley.com/Cochranelibrary) databases to identify relevant articles. The search was restricted to articles published from 1990 because IOM recommendations were first published in this year and last updated in September 2014. The following search terms were used: (‘pregnancy’ OR ‘gestation’ OR ‘gravidity’ OR ‘maternal’) AND (‘weight gain’ OR ‘weight change’ OR ‘weight increase’) AND (‘gestational diabetes’ OR ‘GDM’ OR ‘diabetes’). An additional hand search of reference lists of relevant articles was carried out to ensure a complete collection. We included observational studies meeting the following inclusion criteria (defined a priori): (1) published in English or German; (2) reporting an association between GWG and the outcome GDM; (3) singleton pregnancies; (4) GWG measured up to the time of GDM screening or an earlier period; and (5) GWG classified according to IOM recommendations as excessive or non-excessive. Only full papers were included in this review. Data published in conference abstracts only were excluded. A protocol for this review is registered at the PROSPERO international prospective register of systematic reviews (www.crd.york.ac.uk/PROSPERO) as CRD42014008802. All search hits were exported to EndNoteX5 (Thomson Reuters, Toronto, ON, Canada) for organising the references and removing duplicates. Two researchers (SB and SZ) independently assessed the identified titles, abstracts and, when necessary, full text articles for eligibility according to the inclusion criteria. Discrepancies between reviewers were resolved through discussion. Data were abstracted into tables, including information about the study setting, population, participant characteristics, exposure and outcome assessment, and study results. If the study did not report ORs or if the OR could not be calculated from the presented tables [19, 20, 21] or if inconsistent data were reported in the results section and tables , then the authors were contacted by e-mail and requested to provide the missing information. The requested information was provided by Gibson et al  and Hedderson et al . Unfortunately, two authors could not provide the requested information, so these studies could not be included in the meta-analysis [20, 21]. If papers reported associations between GWG and GDM but did not use IOM criteria for GWG, then the authors were contacted and asked to rerun their analysis [16, 17, 22, 23, 24, 25, 26, 27, 28, 29, 30, 31]. Additional analyses were provided by two authors [17, 22]. For quality assessment, we used the Graphic Appraisal Tool for Epidemiological studies (‘GATE’), a quality appraisal checklist for quantitative studies reporting correlations and associations, provided by the National Institute for Health and Clinical Excellence (UK) . The checklist of 15 questions relates to the external validity of the selected studies, the reliability of the outcome measures and adjustment for confounding factors. According to the tool design, the internal and external validity of the studies were rated separately as high, medium or low quality depending on adherence to the criteria. Two authors independently assessed the study quality (SB and IN). A random effects meta-analysis model was fitted to study-level data to provide a pooled estimate of the OR for comparing the odds of GDM between women with and without excessive GWG prior to the GDM screening test. An OR of >1 indicates that excessive GWG is associated with greater occurrence of GDM. Between-study heterogeneity was assessed using the I 2 statistic. If data on GWG were reported separately for each trimester, then second trimester data were used. Since not all studies provided adjusted ORs, or adjusted ORs could not be generated for the excessive vs non-excessive GWG comparison, we pooled unadjusted effect estimates from all studies in the main analysis. A sensitivity analysis based on studies providing adjusted ORs was performed. A further sensitivity analysis restricted to studies reporting the OR as a comparison between excessive GWG and recommended GWG (excluding inadequate GWG) was performed. Several studies provided data for the association between excessive GWG and GDM in subgroups according to the pre-pregnancy maternal BMI category. For these studies, the interaction between pre-pregnancy BMI and GWG was estimated using logistic regression. Potential publication bias was assessed in a funnel plot. All analyses were performed using the metafor package in R (version 3.0.2; www.r-project.org). The search yielded 2,976 results excluding duplicates, of which 2,896 citations were excluded after screening the title and abstract (Fig. 1). The full texts of the remaining 80 articles were assessed for eligibility. Eight additional articles were identified from the reference lists of the reviewed articles. Two articles were excluded because they were not published in English or German, seven were review articles, 13 did not report GDM or other related outcome, and 18 did not investigate the relationship between GWG and GDM. A further 29 articles were excluded because they only reported the total weight gain over the entire pregnancy or weight gain in late pregnancy. Eleven reports were excluded because they did not classify weight gain according to IOM criteria or did not evaluate an association between excessive GWG and GDM, and could not provide additional data. Eight studies met our criteria and were included in the analysis [13, 15, 17, 19, 22, 33, 34, 35]. The characteristics of the included studies are summarised in Table 1. The eight studies included a total of 13,748 participants. Four studies were carried out in the USA [15, 19, 22, 34], one in Canada , one in Norway , one in Turkey  and one in South Korea . Five studies comprised multiethnic populations [15, 17, 19, 22, 34], one study was performed in an Asian population  and in two studies the ethnic composition was not explicitly stated [13, 33]. 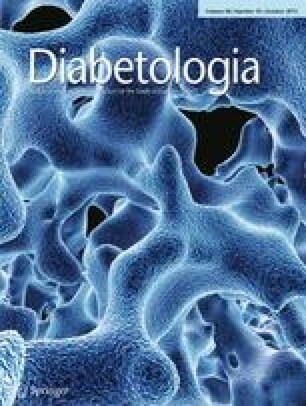 The main inclusion criterion was women with a singleton pregnancy with no previous diagnosis of diabetes. One study provided data for both first and second trimester weight gain . One study evaluated weight gain for each trimester, but classified only first trimester weight gain according to IOM recommendations . Another study investigated early weight gain up to 15–18 weeks of gestation . The remaining studies contributed data on GWG up to or around the time of the GDM screening test, which was mostly performed between 24 and 28 weeks of gestation [15, 17, 19, 22, 35]. All except one study used self-reported pre-pregnancy weight available for all or, in the study of Hedderson et al, at least 85% of the women . In the other study, the measured weight at the point closest to the woman’s last menstrual period (LMP), but no more than 12 months before the LMP, was used to estimate pre-pregnancy weight . In all studies, measured or recorded weights during pregnancy were used to calculate the GWG. In the study by Baci et al, the definition of GWG was not explicitly described and was not provided by the authors upon request . The approach and criteria used for GDM diagnosis varied across the studies. Six studies used a two-step approach including a 50 g non-fasting screening glucose challenge test followed by a 3 h/100 g or 2 h/75 g diagnostic OGTT if the test result was abnormal [13, 15, 19, 22, 33, 35]; one study used a universal 2 h/75 g OGTT . Four studies based the GDM diagnosis on Carpenter & Coustan criteria [19, 22, 33, 35], one on International Association of Diabetes and Pregnancy Study Group criteria , one on National Diabetes Data Group 1998 criteria  and one on Canadian Diabetes Association criteria . In one study, the method for diagnosing GDM was not available, and was not provided after contacting the authors . Three studies were rated as having good internal and external validity [15, 17, 22]. The remaining studies were of medium internal validity and of medium or low external validity (Table 2). The internal validity was graded as ‘medium’ for the majority of studies for a variety of reasons. Some of the studies did not adequately consider confounding factors in their analysis [13, 19, 33]. One of these was a matched case–control study that was not primarily designed to explore the association between GWG and GDM, but rather to compare weight gain between the GDM cases and controls . Another study provided adjusted analyses comparing the association of excessive GWG with normal GWG, but not with GWG within or below IOM guidelines . One study did not describe how the diagnosis of GDM was established . The study by Park et al was imprecise with respect to the application of the IOM cut-off values because uniform cut-off values for the 24–28 week time period were used instead of the recommended weekly cut-off values . The external validity was graded as ‘low’ for two studies: Carreno et al only included nulliparous low-risk women  and Gibson et al included ~80% overweight and obese women . The pooled analysis of unadjusted ORs of the eight studies comprising data for the outcome GDM and comparing excessive GWG with non-excessive GWG yielded a summary OR of 1.40 (95% CI 1.21, 1.61; p < 0.001). There was low between-study heterogeneity (I 2 = 16.7%; Fig. 2). Therefore, no subgroup analysis to account for potential heterogeneity was performed. A sensitivity analysis restricted to the four studies reporting adjusted effect estimates resulted in an OR of 1.42 (95% CI 1.20, 1.68; p < 0.001, I 2 = 0%). The variables considered as confounders included maternal age, ethnicity, smoking, pre-gravid BMI, BP at the first prenatal visit, parity and history of GDM [15, 17, 22, 34]. A sensitivity analysis based on the four studies that reported the OR as a comparison between excessive and recommended GWG resulted in a smaller effect size, which was not statistically significant (OR 1.18; 95% CI 0.89,1.55; p = 0.253; I 2 = 44.5%; Fig. 3) [17, 19, 22, 35]. Another sensitivity analysis excluding the study with an unclear diagnosis of GDM  yielded an OR of 1.34 (95% CI 1.15, 1.57; p < 0.001; I 2 = 10.9%). No sensitivity analysis was performed by internal validity because all studies were at least of medium quality. A stratified analysis was performed to assess potential effect modification of the association between excessive GWG and GDM due to different maternal pre-pregnancy BMI categories. Four studies reported subgroup analysis by the different maternal pre-pregnancy BMI categories [17, 22, 33, 34]. Overall, no evidence was found for a difference in the effect of excessive GWG on the risk of GDM between normal weight and overweight/obese women (electronic supplementary material [ESM] Table 1). The funnel plot did not indicate substantial publication bias (ESM Fig. 1). This meta-analysis demonstrates that excessive GWG occurring before GDM testing increases the risk of GDM by a factor of 1.4. A similar association was found when the analysis was restricted to studies which adjusted for confounders. The association was of similar strength in normal and overweight/obese women. To our knowledge this is the first systematic review/meta-analysis to assess the association between excessive GWG prior to GDM testing and the risk of GDM. A previous meta-regression analysis on lifestyle interventions to reduce GWG assessed the association between GWG and the risk of GDM . However, no significant association was found. This may reflect the fact that, unlike in our meta-analysis, GWG was assessed by kilogram increment in GWG and not by excessive GWG. Since some GWG is physiological, it is not surprising that no association was observed. However, we found a clear association between excessive GWG and the risk of GDM. Our analysis does not provide evidence of effect modification by maternal BMI category, which has been suggested previously [15, 37]. However, stratified data to assess this were only reported in four studies [17, 22, 33, 34]. The observed association appears biologically plausible because higher GWG, especially in early pregnancy, might reflect a greater accrual of fat mass [38, 39], which may reduce the capacity to compensate for the physiological increase in insulin resistance that occurs in pregnancy [10, 15]. This is further supported by recent findings on the regional distribution of adipose tissue gain in pregnancy: Sommer et al evaluated associations of weight gain, total fat gain and regional fat gain between 14 and 28 weeks of pregnancy with the development of GDM . Following adjustment for pre-pregnancy BMI, all indicators of adiposity were significantly related to the development of GDM, with truncal fat emerging as the strongest predictor of GDM. The major strength of this meta-analysis is the use of excessive GWG (according to IOM 2009 criteria) as an explanatory variable because this provides for counselling based on benchmarks which have proven useful for other beneficial and adverse pregnancy outcomes. However, there are some limitations. As most studies reported associations of GWG with GDM based on comparisons of excessive vs non-excessive weight gain, we focused on this comparison in our analysis. Non-excessive weight gain includes both adequate and inadequate weight gain (i.e. below IOM recommendations). Thus, the effect estimates might be overestimated and/or partially caused by a potentially reduced GDM risk associated with lower than recommended weight gain. A sensitivity analysis restricted to studies comparing excessive GWG with GWG in the recommended range, however, showed a slightly attenuated association with overlapping 95% confidence limits. Nevertheless, weight gain below IOM recommendations cannot be recommended because of the increased risk of preterm birth and small for gestational age children . Most of the reviewed studies were only of medium quality mainly because of their failure to adjust for confounding factors. However, a sensitivity analysis restricted to studies with adjustment for confounding yielded similar results. The criteria used for diagnosing GDM varied across the included studies, and one study did not specify how the diagnosis was made . However, when this study was omitted from the analysis, the results were essentially unchanged. Furthermore, the use of different benchmarks for GDM in different studies might account for the between-study heterogeneity. The overall between-study heterogeneity, however, was small (I 2 = 16.7%). We are therefore confident that different GDM criteria do not account for the variability in effect strength. Since the included studies relied upon self-reported pre-pregnancy weight, the validity of the GWG assessment might be limited. However, self-reported pre-gravid weight has been shown to agree fairly well with measured weights [15, 40, 41]. A possible limitation of this meta-analysis may be that most authors did not explicitly report how the IOM criteria were used for classifying excessive GWG. One of the studies used excessive GWG early in the second trimester instead of late second trimester GWG to predict GDM . However, as shown previously, the prediction of total GWG does not improve much between week 12 and 24 . Therefore, it may be assumed that mothers with excessive GWG early in the second trimester will also have excessive GWG late in the second trimester. Therefore, effects of early and late second trimester excessive GWG on the risk of GDM are likely to be similar. Another potential limitation is the limited external validity of some of the included studies due to the choice of a specific subpopulation, such as nulliparous low-risk women  or mainly overweight/obese women . However, five studies were performed on the general population. Since our analysis was based on observational studies, residual confounding cannot be excluded. Hence, it could be that excessive weight gain is not a genuine risk factor for GDM, but that the observed association is instead confounded by another factor representing a common cause for both high GWG and GDM. These data suggest that avoiding excessive GWG might reduce the risk of GDM. Although the estimated effect of excessive GWG on the odds of GDM occurrence is relatively small, the relevance of this finding may be considerable. Since excessive GWG is common, particularly in overweight and obese women (at least 60%) who have the highest risk of GDM, the population attributable risk for excessive GWG in this subpopulation is around 20%. Interventions that reduce excessive GWG by 50% would thus reduce the risk for GDM by 10%. As shown by recent meta-analyses, dietary and lifestyle interventions during pregnancy are effective in reducing GWG [43, 44, 45], with a trend towards a reduced risk of GDM [44, 46]. Unfortunately, these studies did not explicitly address the avoidance of excessive GWG prior to GDM screening. Such studies are urgently needed. We thank K. Gibson, Department of Obstetrics and Gynecology, MetroHealth Medical Center, Cleveland, OH, USA, and M. Hedderson, Division of Research, Kaiser Permanente Medical Group, Oakland, CA, USA, for providing the requested information. HH conceived the research question; RvK finalised the research question and study design; SB and SZ performed the literature review and study selection; SB and IN performed the quality assessment of the studies; LS performed the statistical analysis; SLR-S performed the statistical analysis of Project Viva (USA) cohort data and critically revised the manuscript; CS performed the statistical analysis of STORK Groruddalen study (Norway) cohort data; RvK interpreted the data; SB drafted the manuscript; LS and HH contributed to the initial and final drafts of the manuscript; CS, IN and SZ critically revised the manuscript; SB and RvK prepared the final draft of the manuscript. All authors read and approved the final version of the manuscript. SB is the guarantor of this work.